Are you a local artisan or maker? Are you looking to sell product, while supporting opportunities for youth? 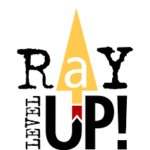 RaY Level Up! Gift & Thrift wants to partner with you! We are looking for vendors for the Gift section of our store. Fill out an application today! Please note: Consignment applications should be completed and emailed to store@rayinc.ca. We will review your application within 5 business days. Only artists whose applications are successful will be contacted. To apply for this job please visit rayinc.ca.